When designing PCBs, we usually use thick lines for taking heavy currents like 50 mils or more, thin lines for small currents like 10mil. For some electromechanical control systems, sometimes the instantaneous current flowing in the trace can reach more than 100A. In this case, the relatively thin line will definitely cause problems. A basic empirical value is: 10 A/square mm, that is, a current with a cross-section of 1 square millimeter can safely pass 10 A. If the line width is too thin, the trace will burn when the large current passes. The general PCB design software often has several options for copper via pads on the component pins: right angle spokes, 45 degree spokes, and straight-laid method. EPCB regards that how to choose them is based on two main considerations: first, heat cannot be dissipated too quickly, and the second is the current capability. The characteristic of using the straight-laid method is that the current capability of the pad is very strong, and this method must be used for the device pins on the high-power loop. 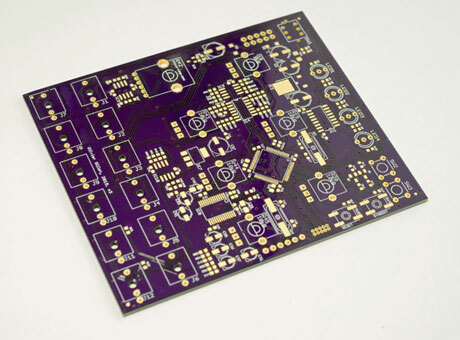 At the same time, its thermal conductivity is also very strong which do good to cool device down, but this is a problem for PCB soldering staff, because the pad with fast heat dissipation capability is not easy to solder tin, thus a larger wattage soldering iron and higher soldering temperatures are often required while reducing the PCB fabrication efficiency. The use of right-angled spokes and 45-degree spokes will reduce the contact area between the pins and the copper foil, slow heat dissipation make PCB soldering much easier. Therefore, the choice of the connection mode of the via pad copper plating should be based on the application, current and heat dissipation capabilities.